Every one reads their text messages - period. Even when at the grocery store fighting over the last honey baked ham on the shelf, it is almost impossible for someone to completely disregard a text message. This is because a text is considered a "disruptive" form of communication that demands attention, especially in comparison to emails and social media (Restaurant Engine). This is why subscription text services are very successful. In addition to bringing in new customers, these text alerts will increase customer loyalty. The challenge? Bribing customers to subscribe to your text service. Some type of tempting incentive that can b redeemed immediately will work. "Create an account with our text subscription service today and redeem a free appetizer on the same visit." Text alerts are immediate and can be manipulated to an extent that will promote business. For example, if your restaurant is promoting a lunch special, you can use time to your advantage. A good idea would be sending out an ad for your lunch specials prior to lunch time. This way people have not decided what their lunch plans will be but your ad will decide for them. Most importantly, having a subscription service is a strategy that will increase guest loyalty. Of course it is always important to seek new clientele, but restaurants focusing on a ways to keep regular customers coming back again is equally as important. Statistics reveal that 61 percent of restaurant business agree that more than half of their sales are generated repeat business in comparison to new business (Fivestars). Mobile ads are sent via SMS (texts) or within mobile apps. Today, it beats out all other forms of advertising. Percentages show that the highest amount of people actually view mobile ads over any other type of ad. This means the money you are paying to advertise through mobile, will have a more noticeable impact for your restaurant. Why make the Investment Now? Mobile advertising has really taken off due to its success, but if you're still on the fence, you should consider acting fast while it is still very affordable (Yahoo! Small Business). This an advertisement that can reach anyone with a smart phone or tablet - that's a lot of people. Not to mention, that these electronics are personal items, customized to function according to lifestyle of its owner. So your ad is reaching them in a personal way, that will be time and location sensitive based on personal settings. Your restaurant might already have a website for your guests, but is it mobile sensitive? A mobile sensitive website means that even though your website was primarily created to be viewed on a desktop screen, users who choose to visit your site through a mobile outlet, like a tablet or phone, your website formatting will adapt to the smaller screen. This allows for an easier navigation for these users despite not being on a bigger screen. Statistics show that smartphone users have no patience trying to navigate a website that is not compatible with their phone viewership, 70 percent of them will spend no time trying to figure it out and will leave (JLB Works). Even if you do have a mobile version of your website, it is important to keep up with the times. People are more intrigued when they notice a new design and the web itself is constantly changing. This can easily be achieved by being consistent with updating your site to match the season and the more recent offers your restaurant has. Keeping the most important information, like contact information and a menu list, located at the top of the page is important. Mobile apps create a stronger loyalty between your restaurant and its customers. Now you just need them to download it? Like text message subscriptions, a great way to promote this is by providing some type of immediate incentive. Maybe a beneficial reward system to go along with it? Earning points with every purchase usually works because the more you buy, the more chance of redeeming more rewards will increase with the increased chance that your customers will be back for more. 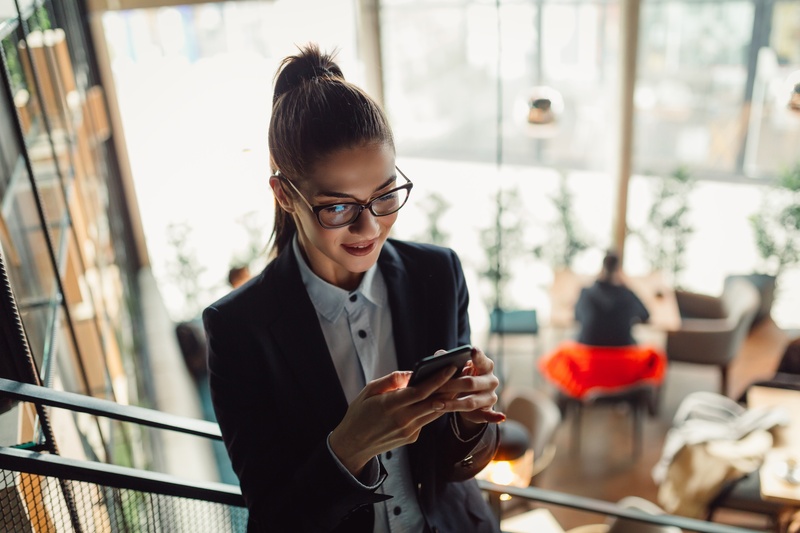 Once the app is downloaded, your restaurant will be able to increase customer engagement through tools such as app notifications and email synchronization. This app will help your restaurant compete with others, seeing as only 5 percent of businesses are deciding not to create an app (Build Fire). Still not convinced? Smart Insights shows that in the US alone, 88 percent of time spent on a mobile device is being spent using a mobile app and that percentage has been increasing by 6 percent every year. During the holiday season, people are going to constantly be on the move running errands and that is why it is important that your advertising is as attention-grabbing as receiving a text message. Having a text subscription service will put your restaurant on a more personal mobile platform. With the addition of time manipulation through the alerts you will dictate the increase of flow your restaurant will experience, allowing you to have more control of your success. How will your restaurant succeed this merry season?